I made Kimono Vest today and it took me about two weeks. This is No.3 kimono vest I made from my mom's kimono. This is the original kimono fabric. 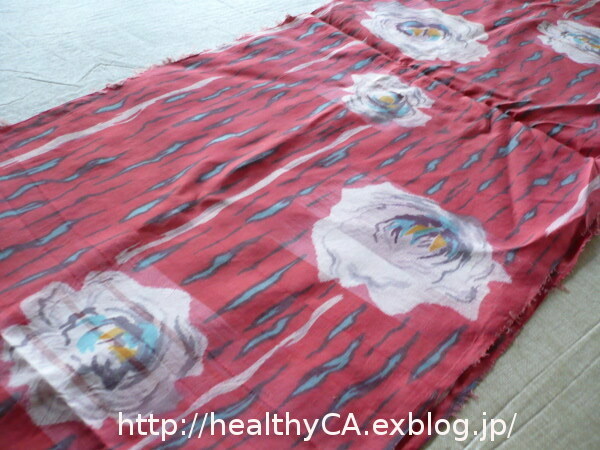 This kimono was pretty good shape which has rose print. 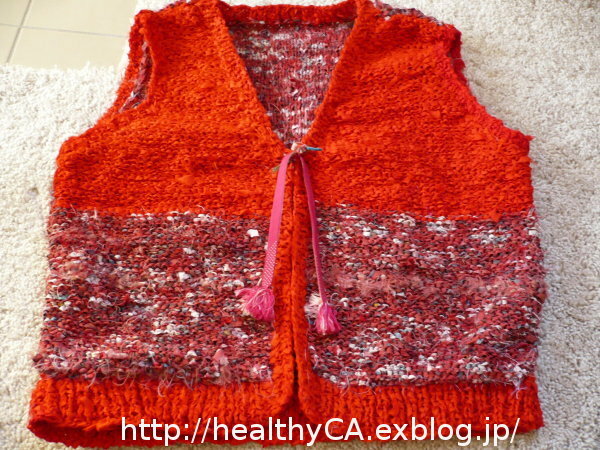 Even though it was pretty good shape, I needed to add another color to knit vest. I used red kimono fabric. Kimono is made from silk fabric and this vest is very light and warm. I used kimono strings too.